Chamonix Mont-Blanc is a ski resort town located at the base of Mont Blanc, the highest summit in the Alps at 4810m’s. The Chamonix Valley is situated near the borders of France, Switzerland and Italy. Geneva Cointrin International Airport is the nearest airport to the Chamonix Valley, located 88 kilometres away in distance. The journey from Geneva Airport to Chamonix is fast and efficient and takes approximately 1hr15, the majority of the route on motorway. Airlines that fly regularly to Geneva Airport include Easyjet, British Airways, Swiss Air, Flybe, KLM, Air France, Are Lingus, SAS, Iberia, Luftansia, Vueling Airlines – to name a few. The Chamonix Valley is accessed by the French Route Nationale 205 (RN 205). This is an extension of French autoroute 40 (A40) which ends at Le Fayet. It is a dual carriageway all the way to the entrance of the town. 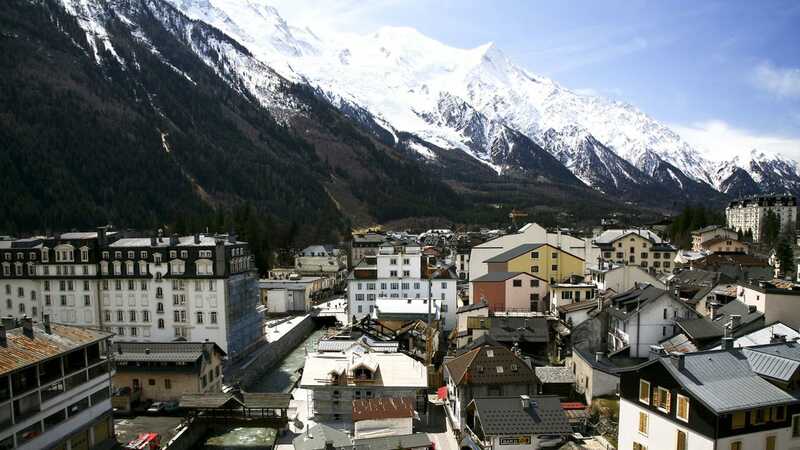 Chamonix can also be accessed by the 11.6 km Mont Blanc Tunnel which originates in Entreves in Italy. There is a toll charge to be paid to travel thru the Mont Blanc Tunnel and queues are not uncommon in summer peak season. Chamonix is also linked to Switzerland by the Route Départementale 1506, with a part of it integrated into RN 205. To arrive from Switzerland, you travel via Martigny in Valais and then continue in the direction of Trient and Chatelard which borders immediately with France. Chamonix is served by the metre-gauge St Gervais-Vallorcine Line, operated by SNCF. From Vallorcine, the rail route continues over the border into Switzerland, meeting the SBB network at Martigny. This latter section, a metre-gauge cog railway, is operated by Transports de Martigny et Régions SA. 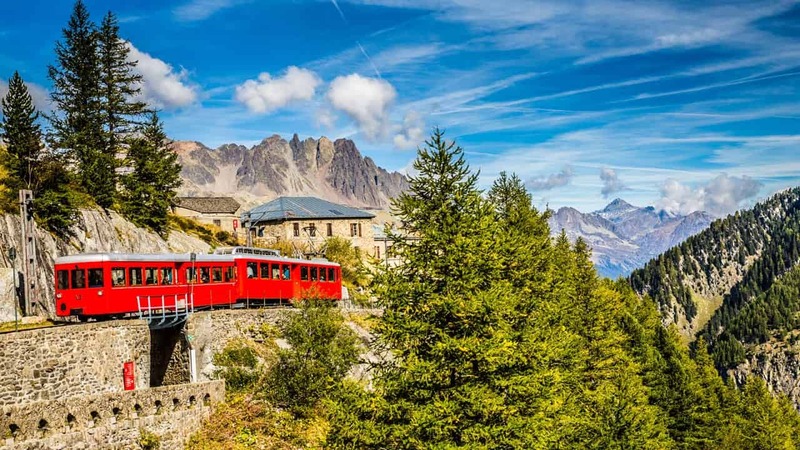 The train service from Vallorcine to Martigny is known as the Mont Blanc Express. Timetables on the St Gervais-Vallorcine and Vallorcine-Martigny sections are synchronized. Marmotte Mountain Adventure does not include airport transfers as part of our package. However, we are happy to arrange this service on your behalf with one of our reliable transfer partner companies. Please feel free to ask for more details. 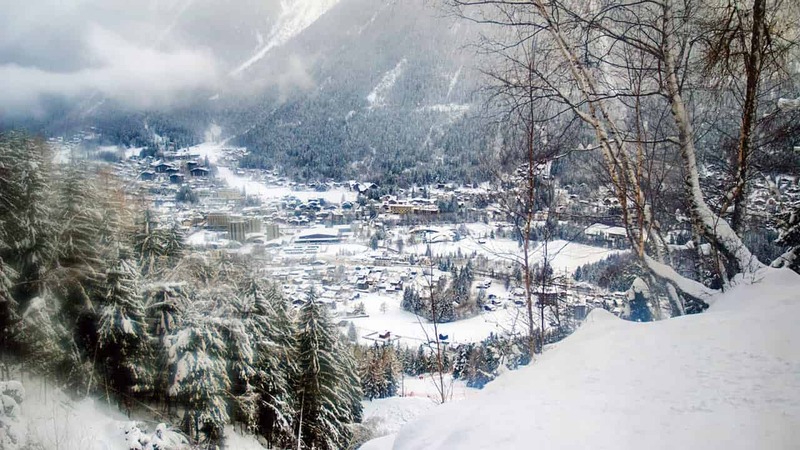 In the resort, we offer a complimentary minibus drop off service each morning and a complimentary minibus pick up service each afternoon to/from the ski area of your choice within the Chamonix Valley. For those wanting to experience a day trip outside of the Chamonix valley (e.g. Courmayeur, St Gervais, Megeve, Les Contamines, Verbier), we are able to provide transport to these areas at a small supplement. 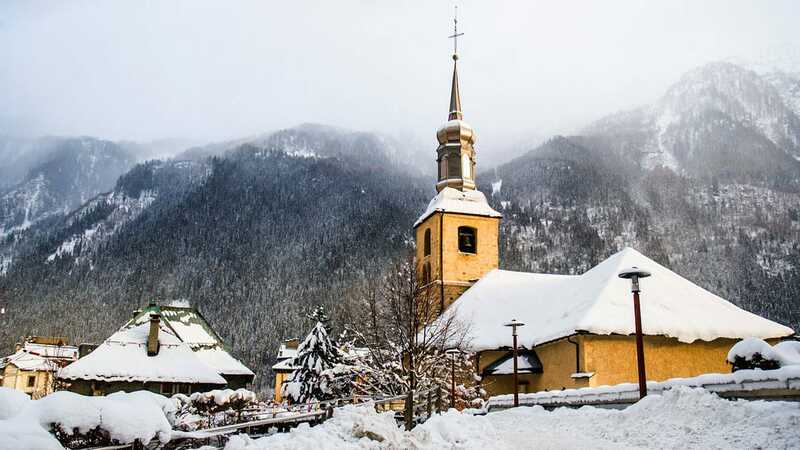 We also offer sightseeing trips to the picturesque and quaint town Annecy or a day of relaxation spent soaking in the Lavey thermal pools in the nearby Swiss mountains or the very lovely Pre-St. Didier, just thru the Mont Blanc tunnel in Italy. If you would like more information on any of our chalets or you are ready to reserve your chalet of choice, please contact us below.